Higher Sales With Intelligent Email Automation – Download Our Paper! A tailored communication strategy is key to the marketing and CRM teams of ZooRoyal, a company of the REWE Group. 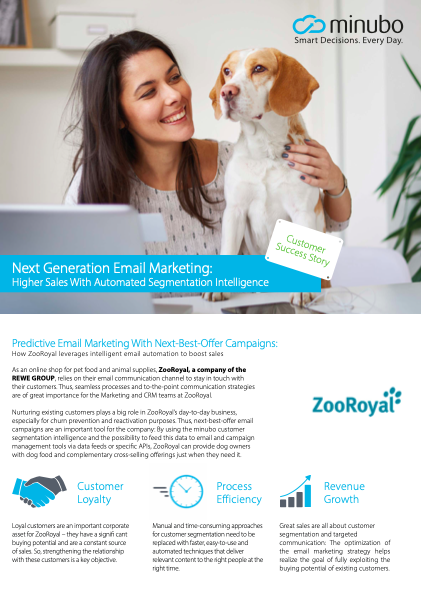 Learn in our paper how ZooRoyal implements automated next-best-offer campaigns with minubo and its integration to email marketing systems and thus increases both efficiency and performance.